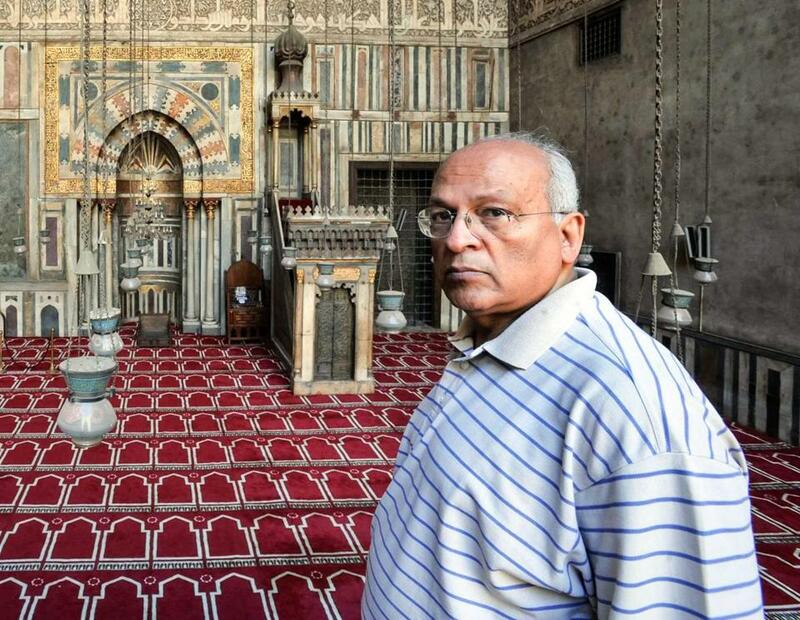 CAIRO — Gamal el-Ghitani, one of Egypt’s most acclaimed novelists, died Sunday morning at the age of 70. Egypt’s state-run news agency MENA said Mr. Ghitani died of respiratory complications at a military hospital in Cairo. Mr. Ghitani is the author of the classic novel “Zayni Barakat,” a scathing critique of totalitarianism set in the Mamluk era. He pioneered a style “which was a kind of magic realism but an intensely Egyptian sort, with roots in both the history of Arabic literature but also areas such as Sufism and magic, and he managed to combine these in a very compelling way,” said Humphrey Davies, who translated Mr. Ghitani’s “Pyramid Texts” and “The Mahfouz Dialogues,” a series of conversations with Nobel laureate writer Naguib Mahfouz. “I think a very distinctive voice has been lost,” Davies said. Mr. Ghitani worked as a carpet designer before becoming a war correspondent for the Egyptian newspaper Akhbar al-Yom in the late 1960s. In 1993, Mr. Ghitani founded Akhbar el-Adab, Egypt’s most prominent literary publication, and ran it as editor in chief until 2011. Under his leadership, the publication was viewed as an independent voice, often critical of the state. “Culture, as we saw it, wasn’t about the movements of intellectuals and the activities of the Ministry of Culture bodies, but about society in general. We were able to publish what none of the state-owned newspapers were able to share,” Mr. Ghitani said in a 2012 video interview with Ahram Online. He was an outspoken critic of the Muslim Brotherhood and supported the military’s overthrow of Islamist President Mohammed Morsi in 2013. “We mourn the pioneer of pioneers of the Arabic novel, the guard of guards of nationalist culture, a warrior in the field of war literature, a correspondent and soldier on the battlefront wielding his pen as a weapon, and one of the first military correspondents,” the armed forces were quoted as saying by MENA. Mr. Ghitani won the Nile Award, Egypt’s highest state honor, in 2015. State media reported that hundreds of people attended his funeral Sunday afternoon at Sayida Nafisa Mosque in Cairo. He leaves his wife, Magda el-Gindi, and his son, Mohammed.